Here at Lock Repair Kitchener we specialize in all of your locksmith and lock repair needs! Needing to have your locks repaired can be a stressful time, it makes even the simplest things such as locking a door after yourself suddenly a complicated matter. Whether you discovered the issue as you were headed out the door on your way to work, or you’re locked out of your home, automobile or business at a late hour, we are here to fix your problems. Our industry specialists are mobilised and fully-equipped to come to your location for your convenience. So no matter what happens – don’t worry! – We’ve got you covered. So you can feel good knowing that you are getting quality service from a company you can trust. At Lock Repair Kitchener we completely stand behind our technicians. Our highly skilled and experienced staff are valued for their amazing customer service skills and attention to detail. Ensuring that no matter the situation you’re facing, we’ll fix it right for you the first time. 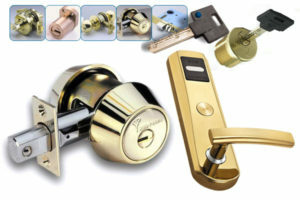 Why choose T&B Lock Repair Kitchener? · We offer competitive pricing to keep it affordable for you! Mon - Fri, 8am - 5pm 24 Hour Emergency Lock Out!!! T&B Lock and Door Service! 10797359canadainc@gmail.com (519) 742-5625. Our Store address is: 19 Scott St, Kitchener, Ontario, Unit B.